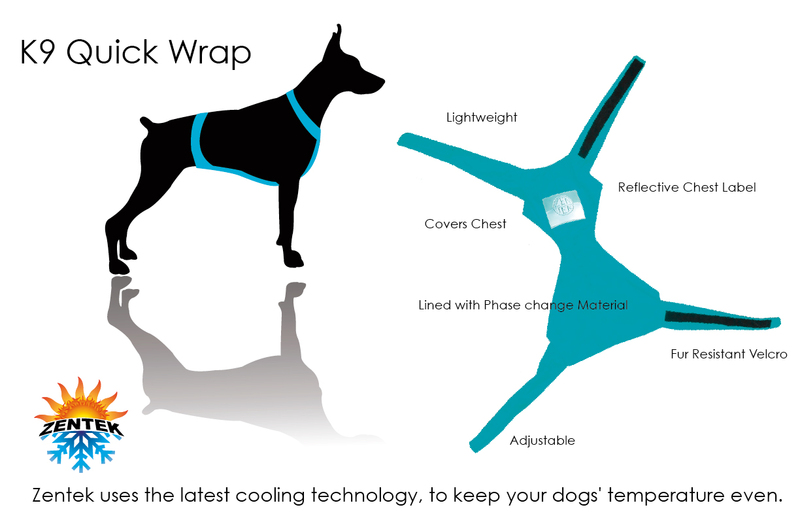 Zentek uses the latest cooling technology, to keep your dogs' temperature even. Cool the Core! Not just the surface! 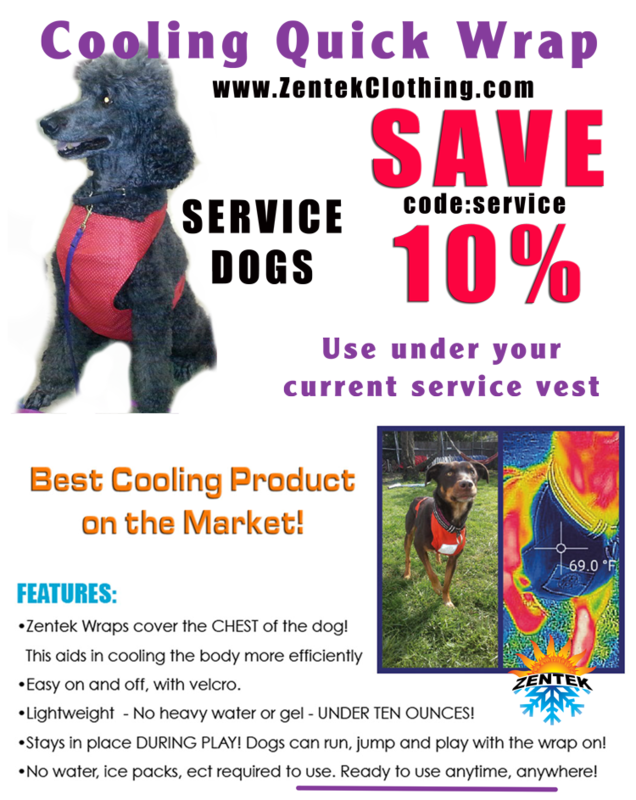 Zentek's Phase Change K9 Quick Wraps auto adjust keeping your dog comfortable in any environment. Phase Change Inserts may be used for extreme weather conditions. Set to change "states" at 58F, when placed in cooler or freezer. On a hot day, the Comfortemp temperature-regulating fabric pulls heat away from your dog and into the fabric, releasing the stored energy when the temperature cools. Read more about Comfortemp fabric. Stays in place DURING PLAY! Dogs can run, jump and play with the wrap on! On a hot day, the Comfortemp temperature-regulating fabric pulls heat away from your dog and into the wrap, and releasing the stored energy when the temperature cools. Zentek helps keep the blood flowing to the dog extremities and the skin surface, by keeping the dogs' temperature even. This allows for better healing after injuries, and more stamina. 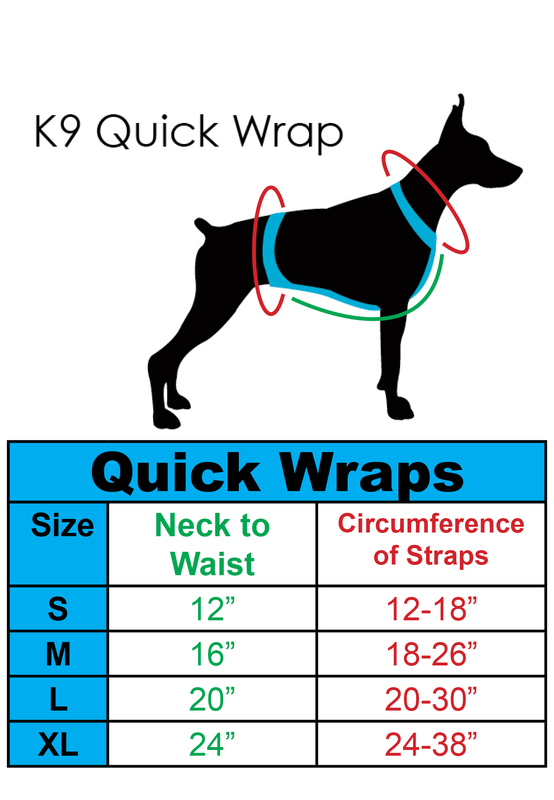 I ordered 2 of these canine quick wraps for my two small dogs. Prior to ordering, I wrote Janice a note to inquire about sizing for one of my dogs, who fell right in between the small and medium size for one of her measurements. Janice was able to adjust the sizing on that particular strap to accommodate my dog! We haven't yet used them in the heat (we are planning a road trip to the south in August, which was my primary reason for ordering) so I can't yet speak to the cooling abilities - I will update my review if necessary after that. Communication throughout the process was excellent - Janice confirmed details and let me know when she was shipping. Would definitely recommend!